Dr Jim Butcher, FRSA, Department of Sport Science, Tourism and Leisure, Canterbury Christ Church University. Should geography be used as a tool for the delivery of citizenship ideals? How does this affect the intellectual and moral value of geographical education for young people? If the state and teachers are taking more responsibility for the values, attitudes and emotional responses of students, how will they learn to develop these qualities for themselves? If global perspectives shift the focus of education from learning about the outside world to learning about the self, what is its vision of social progress and conception of social change? 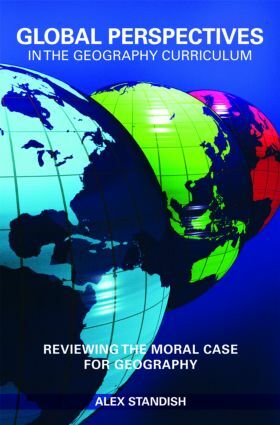 This book advocates a return to liberal models of education, arguing that the new approach to geography currently being promoted for schools fundamentally undermines the educational value of the subject, and the freedom of young people to shape the world in which they live. A vital resource for teachers and student teachers alike, <I>Global Perspectives in the Geography Curriculum<$> makes a significant contribution to the growing debate about the future direction of the discipline itself. The geography of culture or respecting cultural diversity?